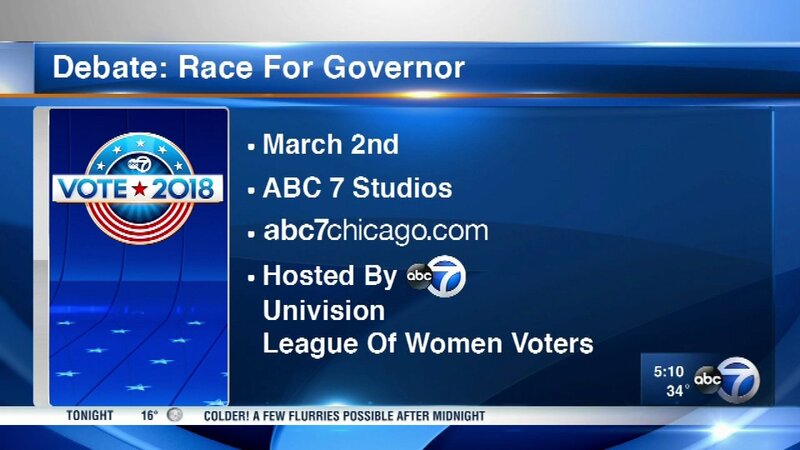 CHICAGO (WLS) -- ABC7, Univision and the League of Women Voters will host a debate among the Democratic candidates for Illinois governor. The debate, which will be held March 2 at the ABC7 studio, can be viewed live at 7 p.m. on 7.2 on digital and at abc7chicago.com. It will also air at 10:35 p.m. March 2 after the evening newscast.